Zebralution, one of the leading digital media distributors for independent labels and audiobook publishers, and Loudr®, a music rights technology company, have announced a strategic licensing partnership today. The deal provides Zebralution with comprehensive DPD licensing for its labels and royalty administration services, as well as access to Loudr client features such as real-time publishing metadata for licensed works via Loudr’s API and catalog matching against U.S. Copyright Office database. U.S. copyright laws call for mechanical licenses when music downloads are distributed in the United States through consumer music services. Each digital download sale requires the payment of a mechanical royalty in the amount of $0.091 for songs of five minutes or less, or $0.0175 per minute for songs over five minutes. The Loudr platform uses big data processes and machine learning to help music distributors and other businesses link sound recordings to songwriters and publishing rights holders, and pay out royalties to publisher’s based on ownership share. 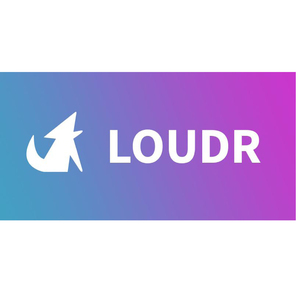 San Francisco-based Loudr® loudr.fm builds products and services that help content creators, aggregators, and music services identify rights holders, secure mechanical licenses, and pay royalties to music publishers. Powered by technology that parses publishing metadata and matches sound recordings to compositions, Loudr makes it easy for builders and creators to secure music rights clearance and report royalties at scale. To date, the company has distributed over $1 million in royalties to songwriters and music publishers worldwide.